Artist team completes large mural and street painting project in Key West. In April, Nate led a talented team consisting of Chris Carlson, Ever Galvez, Hector Diaz, and Jill Baranowski to complete the mural and street art installations for a new path connecting four hotels in Key West, FL. The project consisted of four mural walls, two 3D street paintings, and two colorful crosswalks. The colorful crosswalks were a first for most of the team, and were surprisingly more time consuming than expected. The result was definitely worth it though. 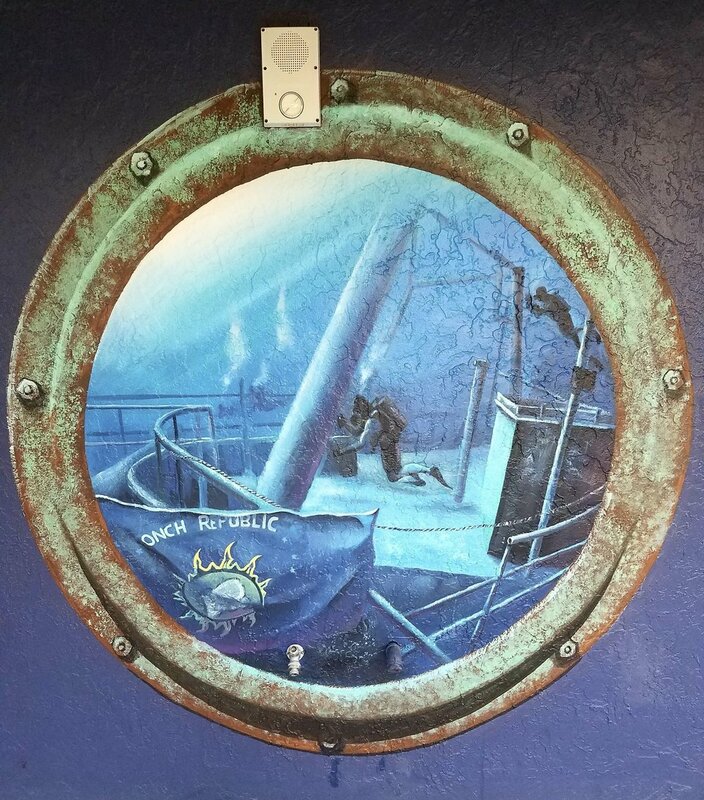 The two street paintings were designed to highlight Key West's historic role in the rum running industry. The first is a shipwrecked rum running vessel and the other is a more modern take with divers exploring for rum. The four murals each highlighted different aspects of life in Key West, ocean life, and the four hotels included on the new art-inspired path. Big thanks to Chris, Ever and Hector for joining us on this job.